We love Flexi Bath for it's range of uses. 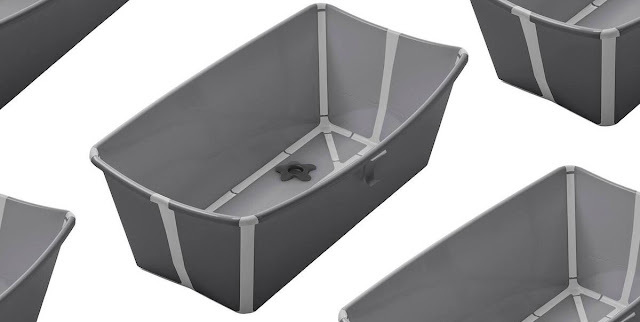 Obviously it's a great, space saving bath from newborn to around four years but it's also perfect for toy cleaning and storage and in the last couple of years it has become an absolute must when we are camping and festival going during the summer. We use ours for washing up now that the kids are older but if you are brave enough for alfresco bathing then it's perfect for that too. Available exclusively from (in our opinion) one of the best Stokke stockists, Back In Action, it's a case of grab it while you can. Grey Stokke® Flexi Bath™ £37, Stokke® Flexi Bath™ Newborn Support £15 from Back In Action.